Worried about a water bill or reminder? North Bristol Advice Centre can help. Our Money Advice specialists are available for one to one meetings in Lockleaze every Thursday morning. They can offer lots of help to ease your money worries, including reducing your water bills, rescheduling arrears and more. If you would like to speak to someone about your water bill, just call our office on 0117 951 5751 and book an appointment with a trained Money Adviser on a Thursday morning. Bristol Water has a number of schemes that could see you paying less for your water. If you simply can’t afford to pay your water bills, Bristol Water can reduce your bills to an amount that you can realistically afford. If you are already in arrears on your water bills, Bristol Water have an affordable payment scheme. This lasts for 2 years and after that, any remaining arrears are written off, no matter how big or small. If you are on Pension Credit, have a qualifying disability, or 3 or more children under 18 then you can apply to Bristol Water for special discounted tariffs. 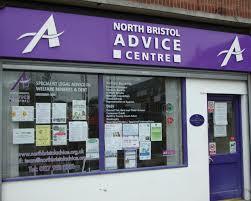 North Bristol Advice Centre has all the forms and specialist knowledge to help you to fill them in and apply.